I can’t believe it’s time for #TravelTuesday again. 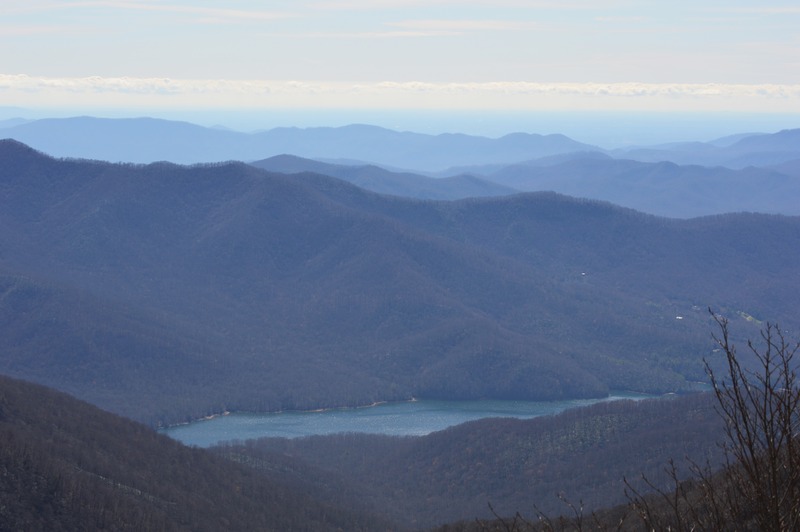 Last week I wrote about our trip to the Biltmore, but today I want to tell you a little more about our time in Asheville. We only had two full days in Asheville. I totally underestimated the driving time with 3 small kids! Annnnddd I didn’t foresee having to stop for a new tire in Virginia. Waaa. We wanted to stay another night, but the hotel was booked solid- otherwise we may have! 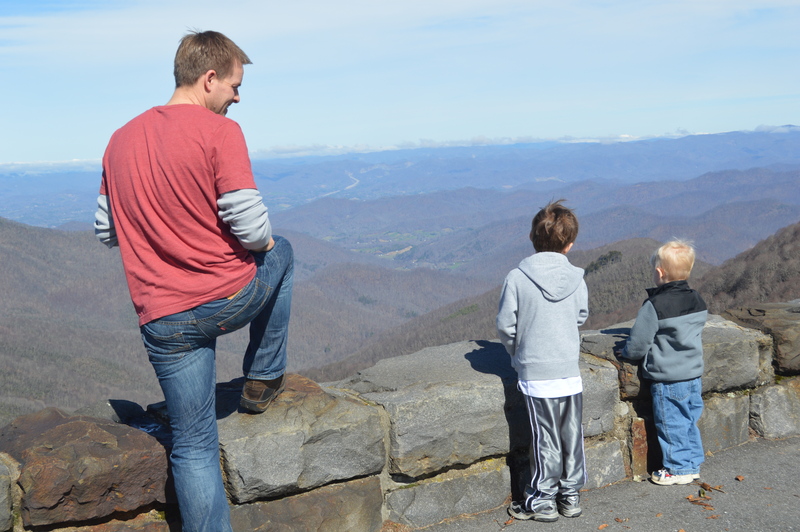 We started the day on Saturday with a trip to the Blue Ridge Parkway Visitor’s Center. It is a beautiful building with some neat interactive displays. I was sad to learn from the guide that the Mt Mitchell Summit was closed to the public, so our initial plans for the day were thwarted. 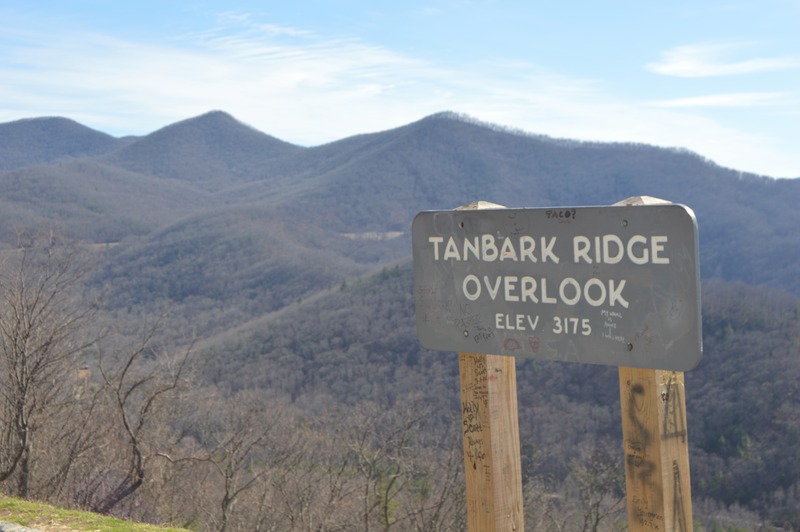 Instead, he urged us just to head north on the Parkway and stop at many of the scenic overlooks. They did not disappoint. Brian and I loved all the scenic views! I was a little terrified when we would stop, the barrier walls weren’t very high and with little kids it was hair-raising at times. I told O (who is prone to some crazy fits) that if he did not listen and fell down, his head would go splat! (Yep, things I never thought I would say as a mother, version #9537). And pictures like this are why we will always travel as a family! We were so thankful for a clear day for views like this! I know that the Blue Ridge Parkway is most popular in the fall for the vibrant color, but I think there is something to be appreciated about being able to actually see (no leaves on trees meant we had a good view 99% of the time, even while driving). Traffic was low. The road is pretty crazy- I can’t imagine sharing it with tons of motorcycles and camper vans. 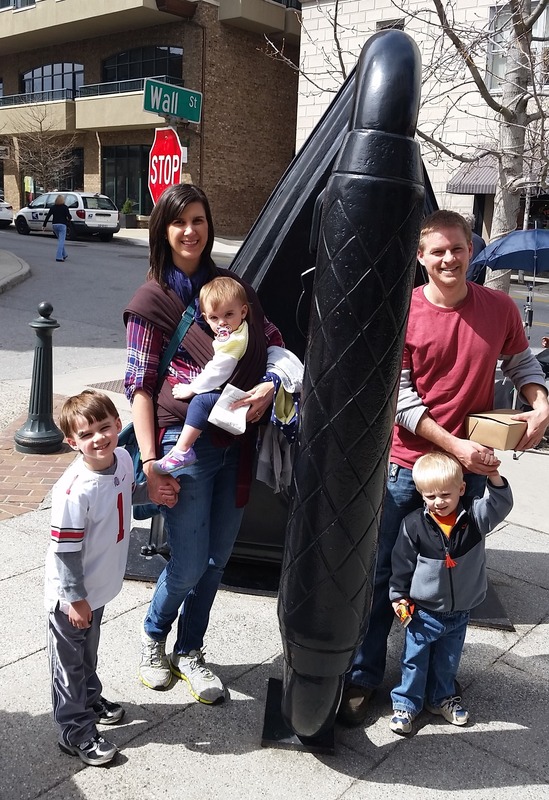 The kids were getting antsy (I didn’t think about the fact we were doing a scenic drive just mere hours after a 7+ hour drive) so we decided to head into Asheville and get some lunch and walk around the town. For as quiet as the BRP was, Asheville was hopping. It was a beautiful, sunny Saturday and 60 degrees, so restaurants were full and the streets were busy. We found lunch at a soda fountain inside of an arts mall. It was inexpensive and they had hot dogs. The kids were thrilled! I knew that Asheville was an artists’ colony, but it was much different than I expected. Asheville as a whole gave me the same feel that Santa Fe did (mountains, culture, great food scene), but there was definitely more hippies (for lack of a better word) and lots of dreadlocks, street performers, etc. It was ok, just not what expected- and I’m amazed that Jackson didn’t ask more questions! Haha. I tried some chocolate truffles from Chocolate Fetish…and they were amazing, but most of all we just people-watched and window-shopped. The Flat Iron sculpture next to the Flat Iron building. (Along with hot dog grease on my jeans. Solid). 1. 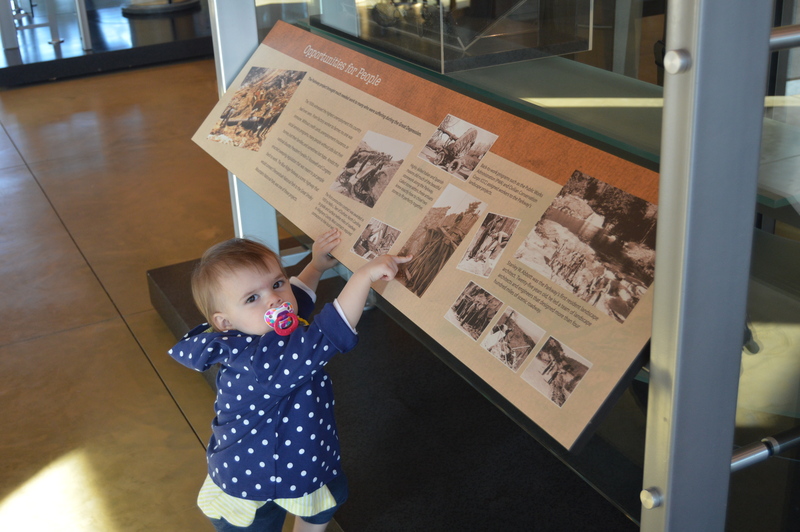 Stop by the Blue Ridge Parkway Visitor Center to learn of closings or road work – I would not have known about Mt Mitchell had we not stopped. The websites I looked at showed it as being open. 2. Bring a jacket or extra layers. It was probably 20 degrees cooler on the BRP than it was down in Asheville. 3. If you have a family, I highly recommend the Homewood Suites by Hilton on Tunnel Rd. The location was convenient, the room was spacious, and the hot breakfast was one of the best I have had. 4. You may want to avoid a stroller in Asheville. Many of the sidewalks were made of cement tile or brick (i.e. bumpy) and they were full of people. 5. Allot enough time- I wish we had one more full day in Asheville. Give yourself 3 full days- especially with little ones! 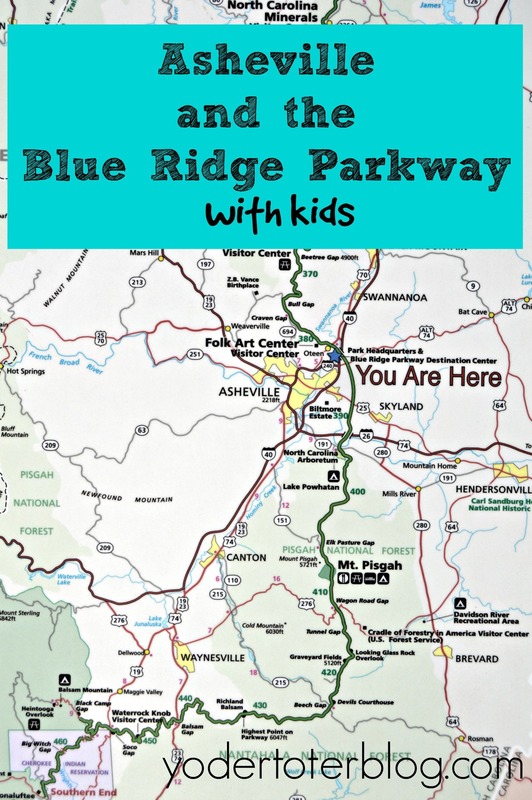 Have you been to Asheville or the Blue Ridge Parkway? Any tips you would add?